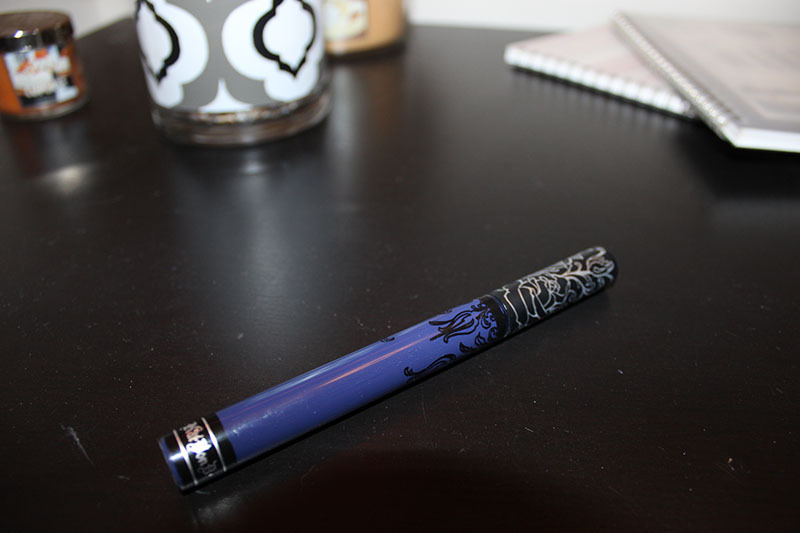 As soon as I saw the new Kat Von D Liquid Lipsticks had released at Sephora, I rushed to the website to pick up Echo. I've been in love with it since I saw the first swatch, and I knew I had to have it. You may have noticed it's blue. I'm not comfortable wearing red lips but blue I'm okay with. It's a little odd, I know but I LOVE it. Can blue lips just be a thing? 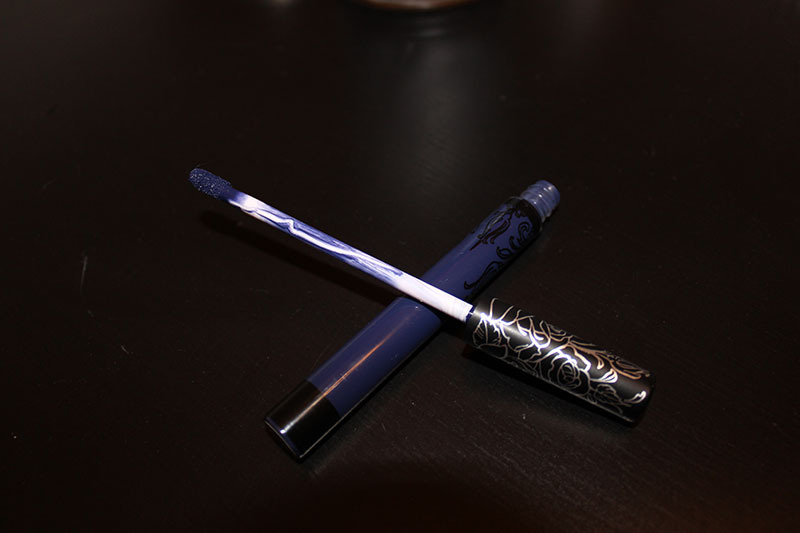 The packaging is the same as the other Liquid Lipsticks from Kat Von D. Long, skinny tube, cute design, doe foot applicator that's small enough to make application easy. The formula is a little thinner than Backstage Bambi [review], so I do need two coats with Echo. It gets a little streaky, and seriously just a little. A lip liner to go with this would be nice, but I'm sure you'll be surprised to hear I've had a little trouble finding a lip liner this color. Shocking, I know. Last week I posted my Top 5 under $5, so I wanted to go ahead and post my Top 10 under $10. Makeup can be expensive & not everyone has the budget to buy a ton of high end makeup, so I'm going to share 10 makeup products that are under $10 that are awesome! Here's the Top 10 Under $10! 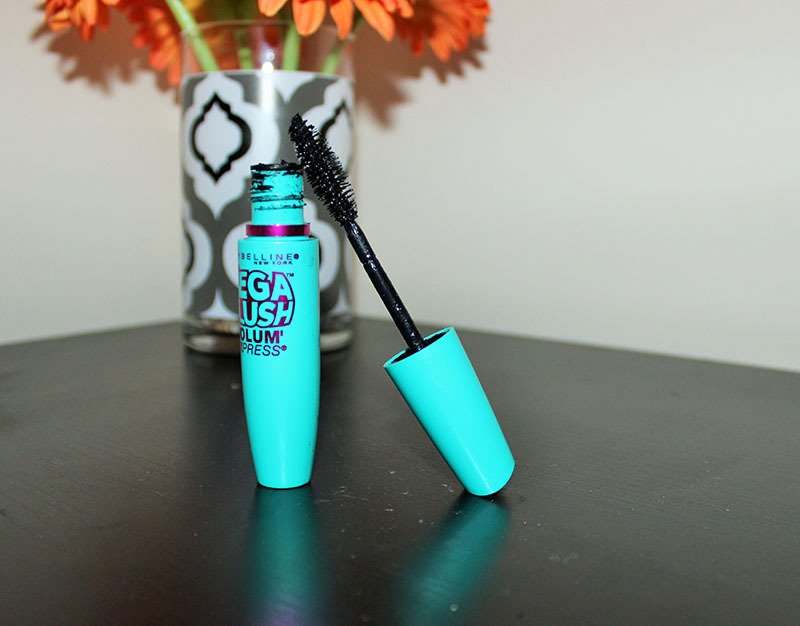 Maybelline Mega Plush Mascara. This is a drugstore favorite that I always go back to. 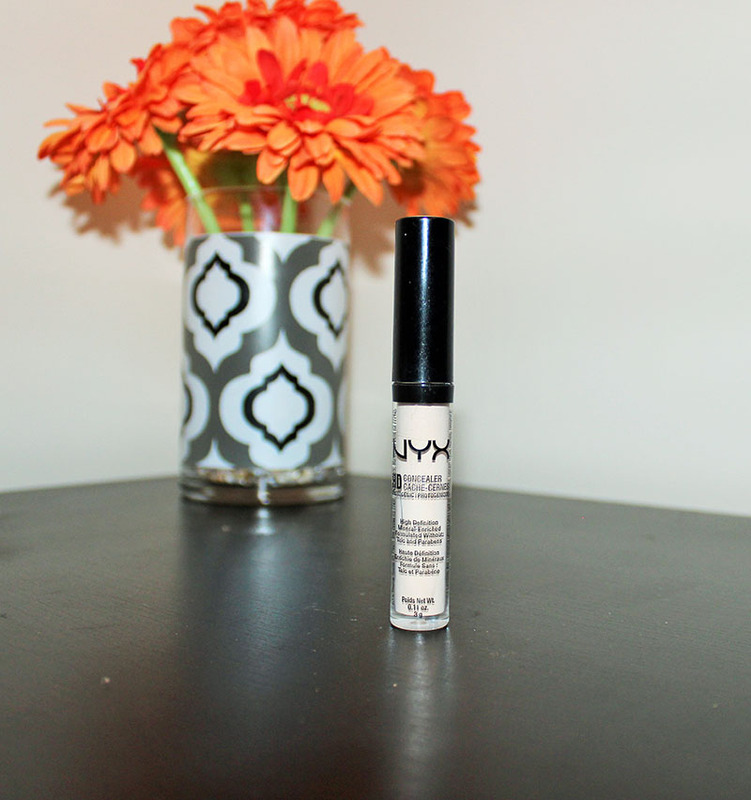 It's volumizing and lengthening, while separating your lashes. It's a more natural mascara, but it's perfect for a light makeup day or a no-makeup look. It's really black and doesn't smudge or flake. Revlon Colorburst Matte Balm. I own maybe 5 or 6 of these now, because I love them. The twist up crayon is so convenient and easy to apply. The colors are pigmented and last quite a while. 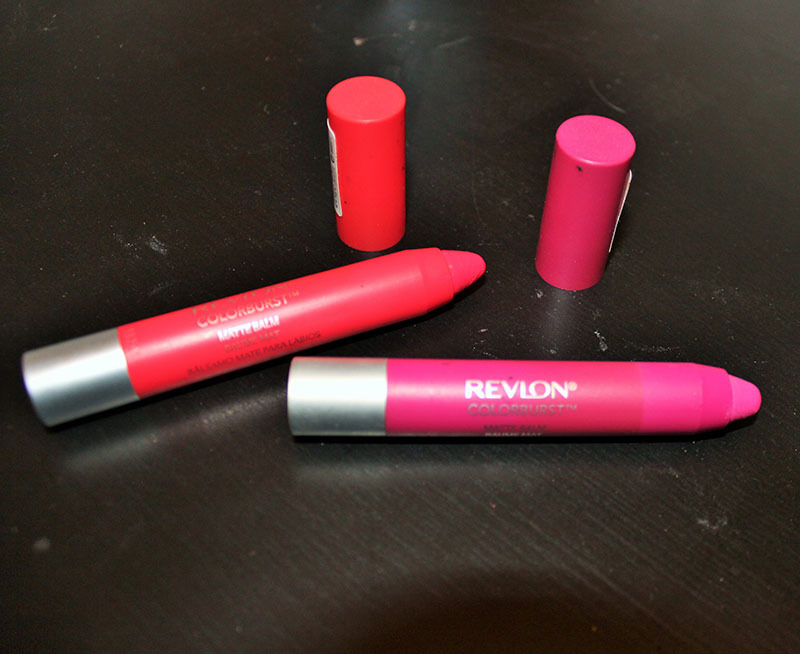 I also love the Revlon Balm Stains that are in the same twist-up crayon packaging. Milani Liquif'eye Eye Liner Pencil. 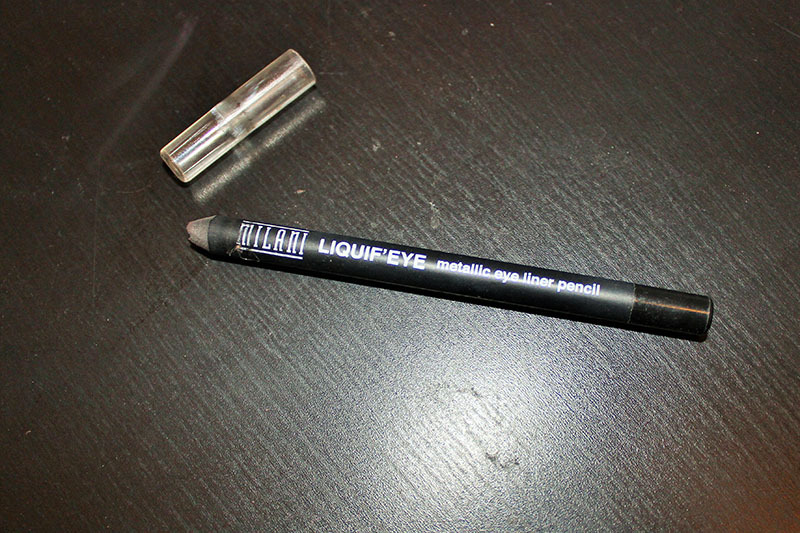 If you want an eyeliner pencil that's comparable to Urban Decay Perversion, this is it. It's super black, creamy but stays put once it sets. It's my favorite drugstore liner, nothing else compares. 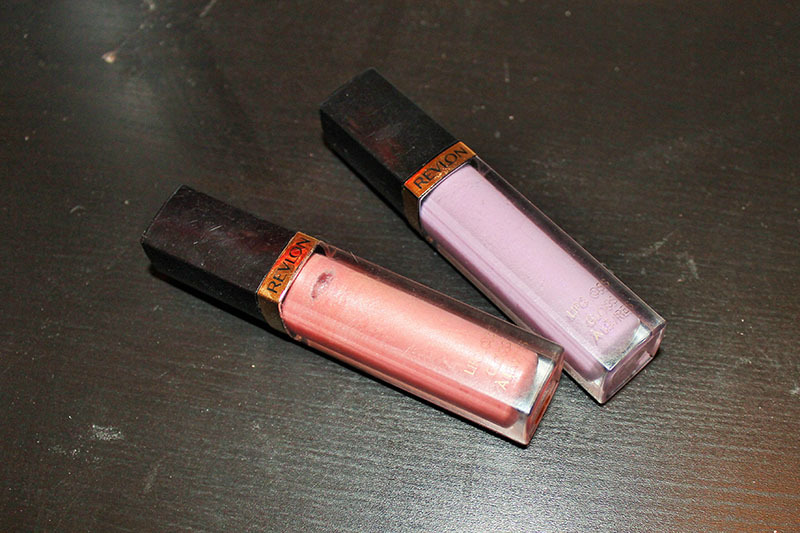 Revlon Lip Glosses. 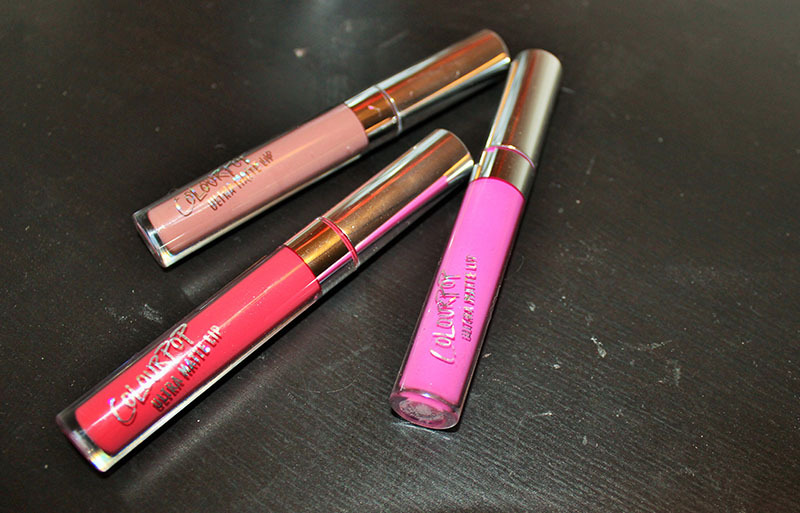 With the exception of the lip products I've shown, I'm not really a Revlon fan, but I do love these lip glosses. They're pretty pigmented and last a while, plus they aren't overly sticky. L'oreal Brow Stylist Plumper. I'm not a fan of doing my eyebrows. I just don't like to and 90% of the time, I'm only using brow gel. This one to be exact. This gives fullness and a little color to your brows, while shaping them and holding them in place. The wand is small and easy to use and it dries pretty quickly. 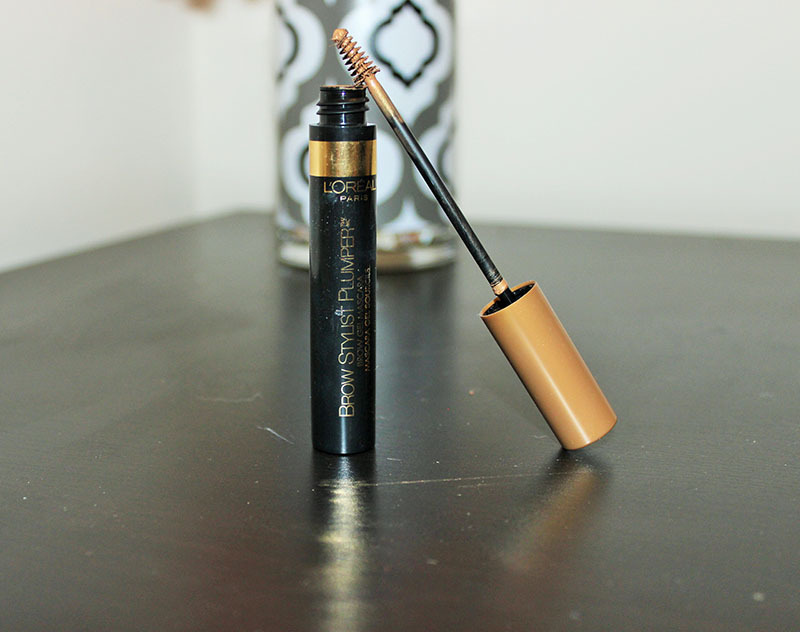 It's my favorite brow gel that I've tried. So that's my Top 10 under $10! What are your favorite products that are under $10? Thanks for reading & check out my Top 5 under $5 if you missed it! I’ve been working on getting healthier for about 4 months now. I go to the gym as often as I can, normally 5 times a week and I’m trying to make healthier food decisions. Today I want to share a something with you that I’ve started using to help me in my healthy journey. 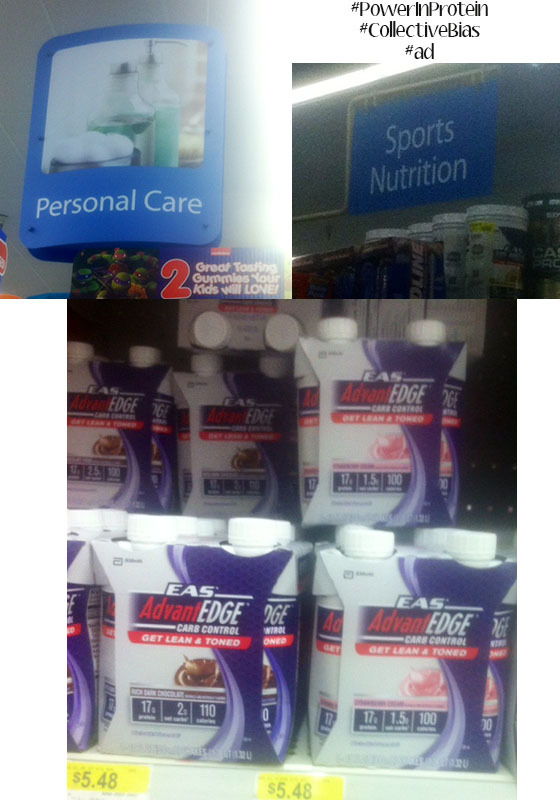 That is the EAS AdvantEdge Carb Control products. 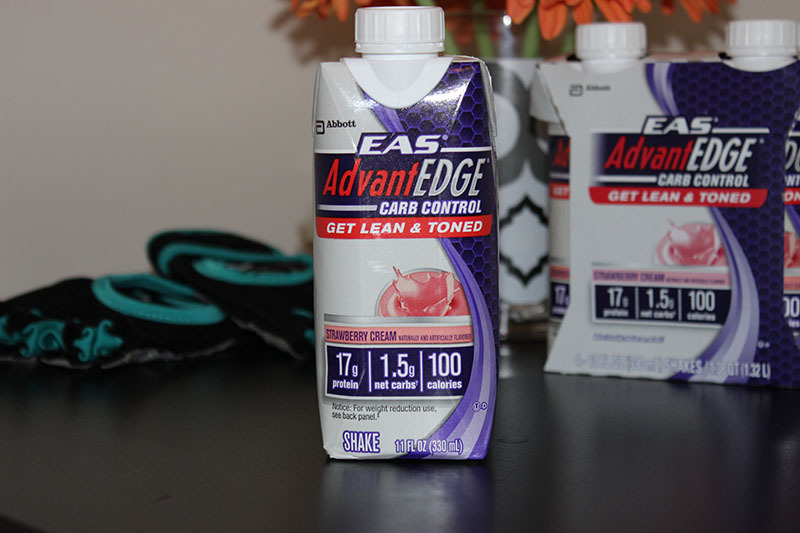 I’ve been drinking the EAS AdvantEdge Carb Control in the Strawberry Cream flavor after my workouts. These have 17 grams of protein but only 1.5 grams of carbs and 100 calories, not to mention good for you nutrients, which is awesome! Drinking this after my workout instead of making a normal protein shake is not only easier because it’s already ready to drink but it saves me calories and carbs. This is great, especially if you’re working out and trying to cut down your carb intake. 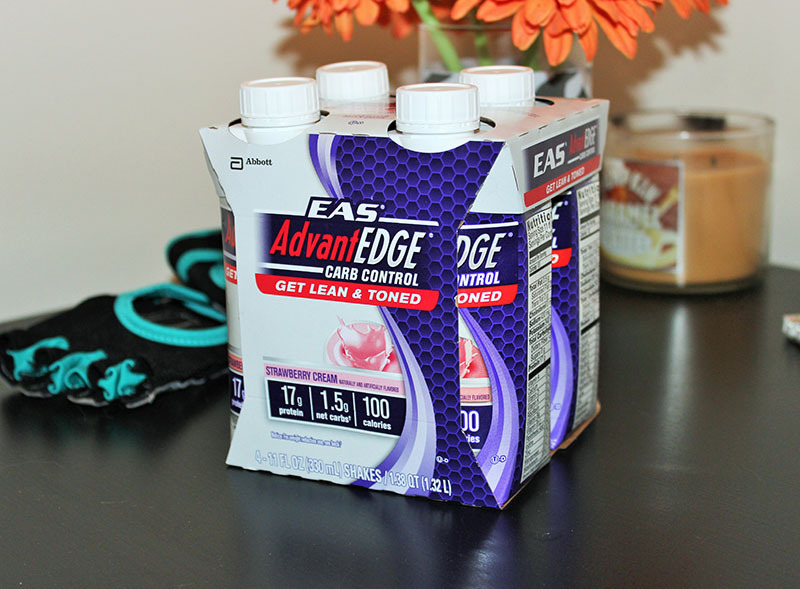 The EAS AdvantEdge Carb Control will not only help you manage hunger and give you an energy boost but it will also nourish your muscles and give them the protein they need after your workout. 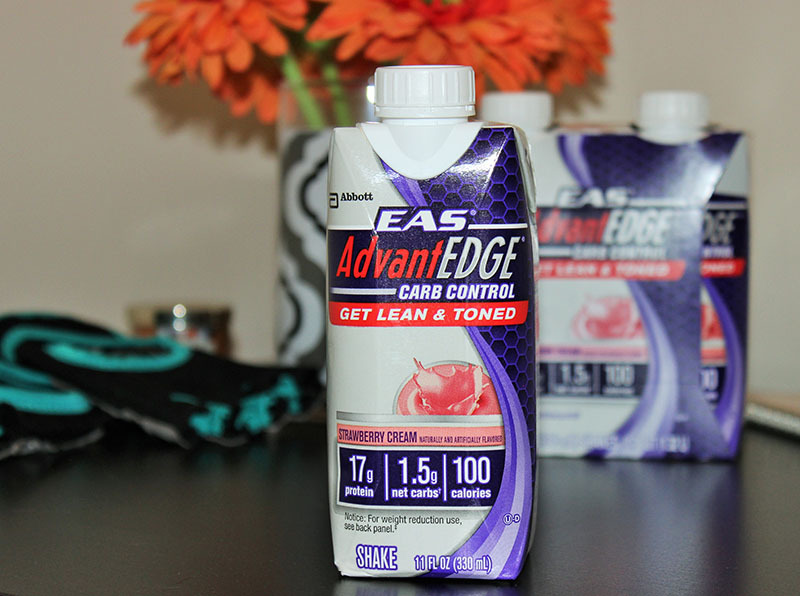 Combined with an active lifestyle, EAS AdvantEdge Carb Control products can help you to reach your fitness and nutrition goals. Keep in mind this is designed for people who are active and carb-conscious who want to be lean and toned. 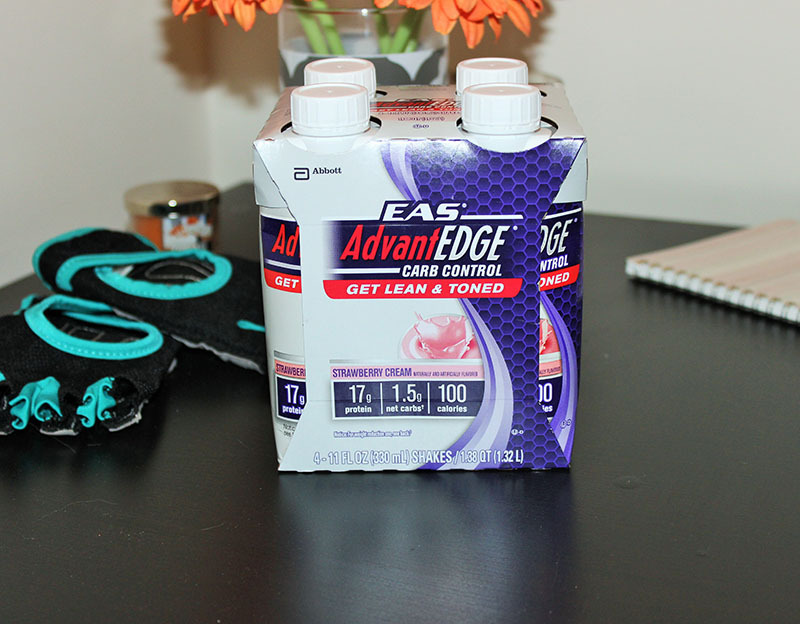 This is a great source of protein and my new go-to post workout drink. I purchased this at Walmart; there were three available flavors and I chose Strawberry Cream. Let me know what your healthy lifestyle goals are and how you plan to achieve them! 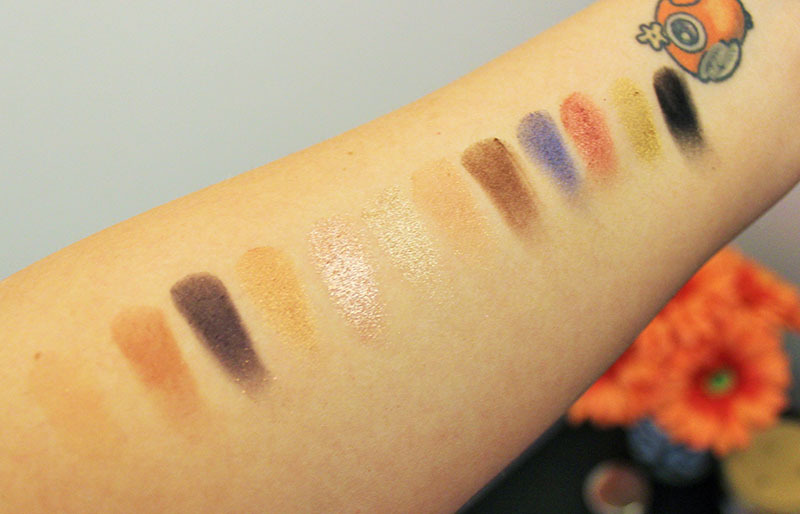 You may have seen a tweet or two about my search for a new eyeshadow palette. Sometimes, I feel really uninspired and just need something new to try out. 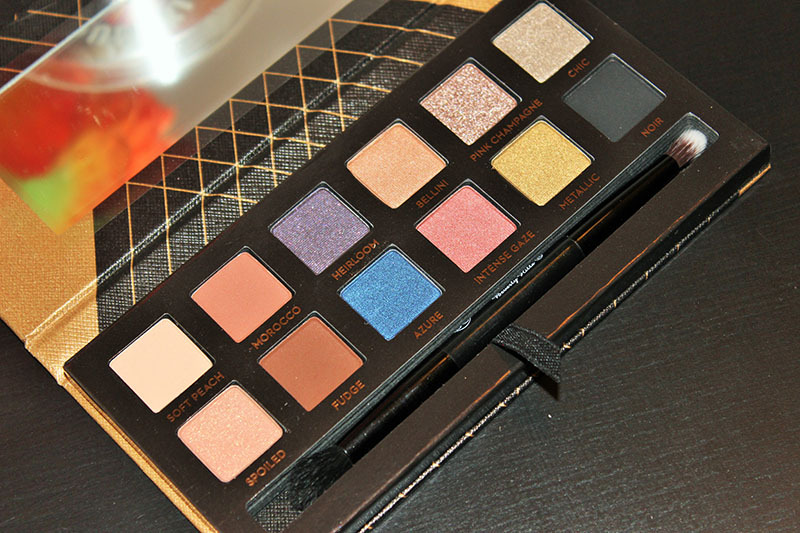 Luckily, I went to Ulta's website to see what was new, and that's where I found the Anastasia Shadow Couture World Traveler Eyeshadow Palette. 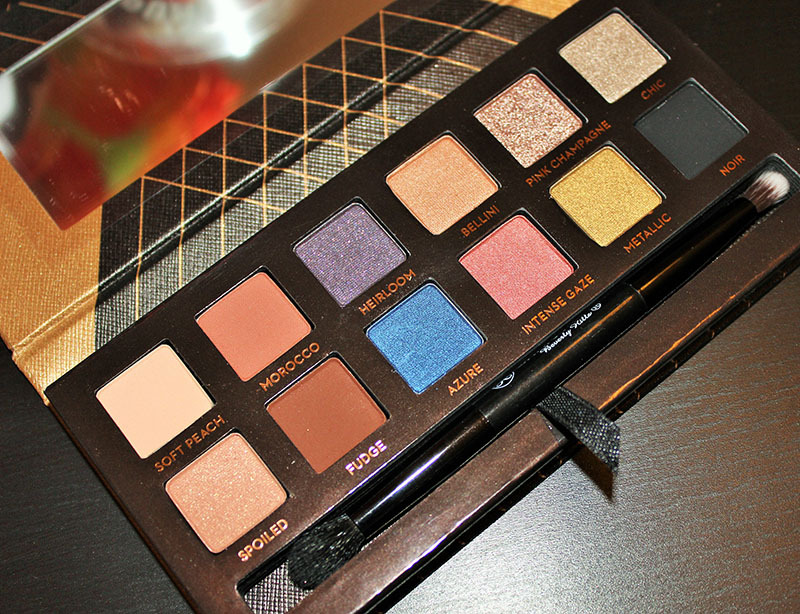 This is a palette with a wide range of colors and neutral shades and I love a versatile palette. It also comes with a dual ended brush, which I typically ignore but this one is actually pretty nice. There are 4 matte shades, the rest are satin and metallic. Morocco: Warm light/medium brown; also matte. Heirloom: A plum/eggplant shade. Satin finish. Pink Champagne: cool toned, glittery mauve-ish pink. Metallic finish. Spoiled: Peach with gold glitter, satin. Azure: Blue, not quite navy, but not too intense. Satin finish. Intense Gaze: Coppery-pink. Almost rust toned but much more pink. Satin. As you can tell, the color variety is nice, and has a few neutrals thrown in as well. 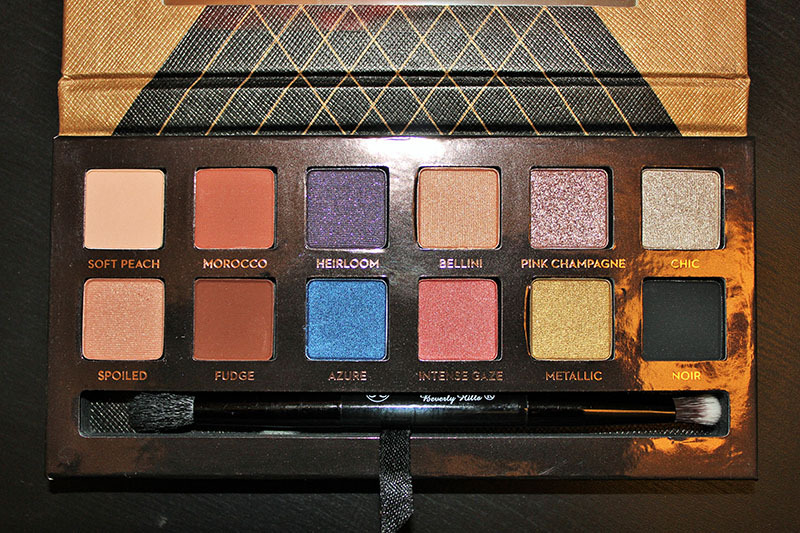 I can see a nice variation of looks from this palette. I'll post a picture of one that I actually filmed (my very first video!). I love the packaging. 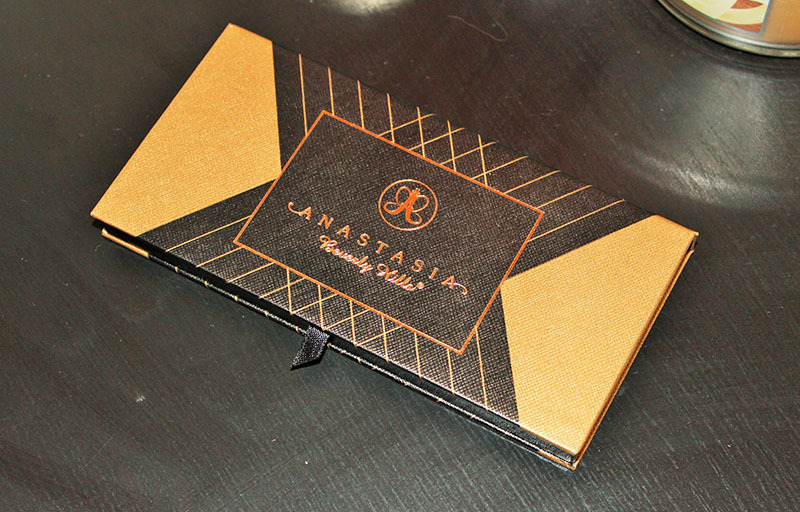 It's a black and gold cardboard palette, but it's sturdy enough for travel. It has a nice, large mirror. 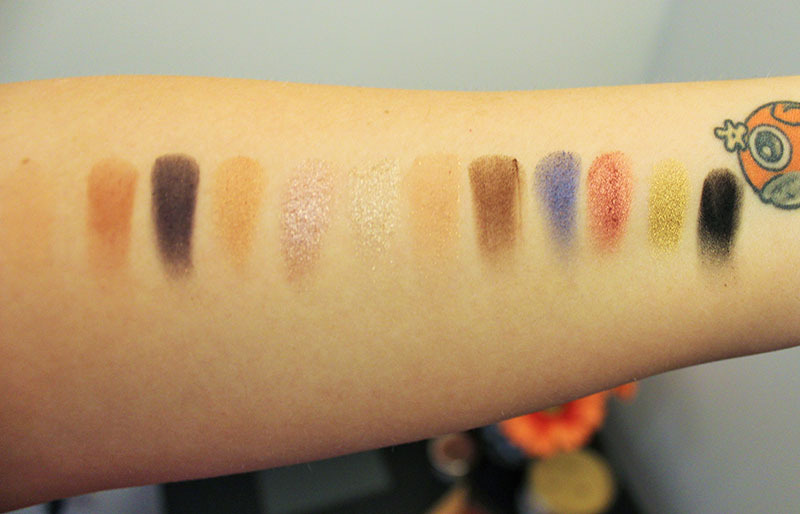 The color variety is nice and you can do a full look with this palette. I do feel that it's missing a really light highlight shade, as soft peach is too deep for highlighting if you have a fair-light skin tone. Some of the colors, such as Heirloom and Soft Peach are very powdery. All of the colors are pigmented, Pink Champagne takes a bit more effort as it's very glittery and needs to be built up or applied over a base. I didn't have trouble blending any of these colors, each one blended flawlessly, even Noir. The brush is actually nice. Overall, I recommend it. It's my first Anastasia Beverly Hills purchase and yes I'm serious. I have never owned any of the brow products or palettes. But, that may change now as I'm pretty impressed with the quality of the eye shadows. You can find it at Ulta for $30, which is a steal. 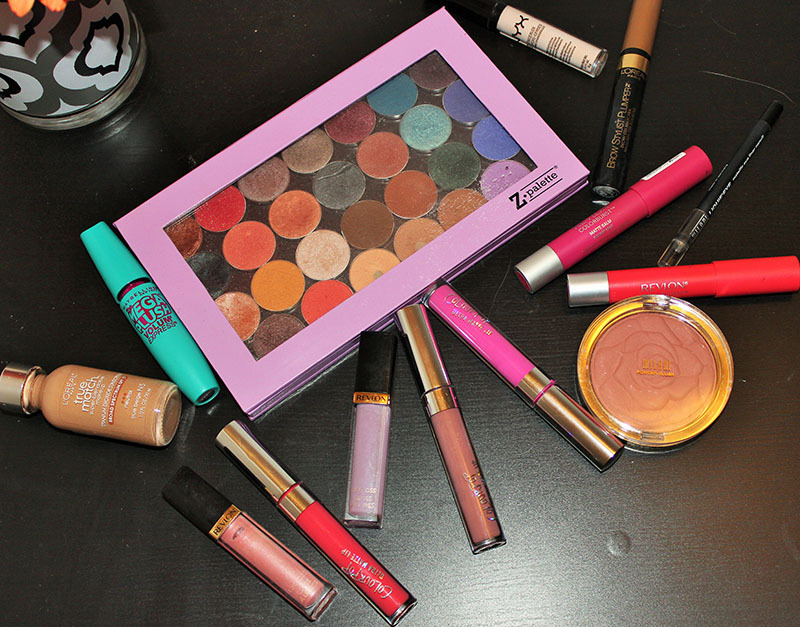 Makeup can be expensive, and it's honestly not always worth the high price tag. 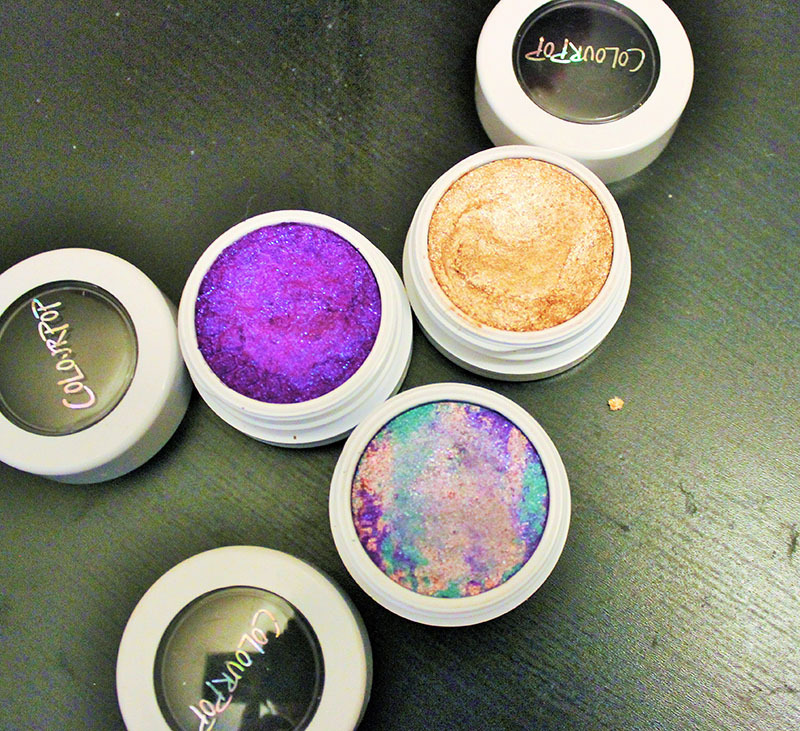 So, here are 5 makeup products under $5 that are totally great! I cheated a little, because I couldn't pick between the Colourpop shadows and the Wet n Wild palettes, so I picked both. 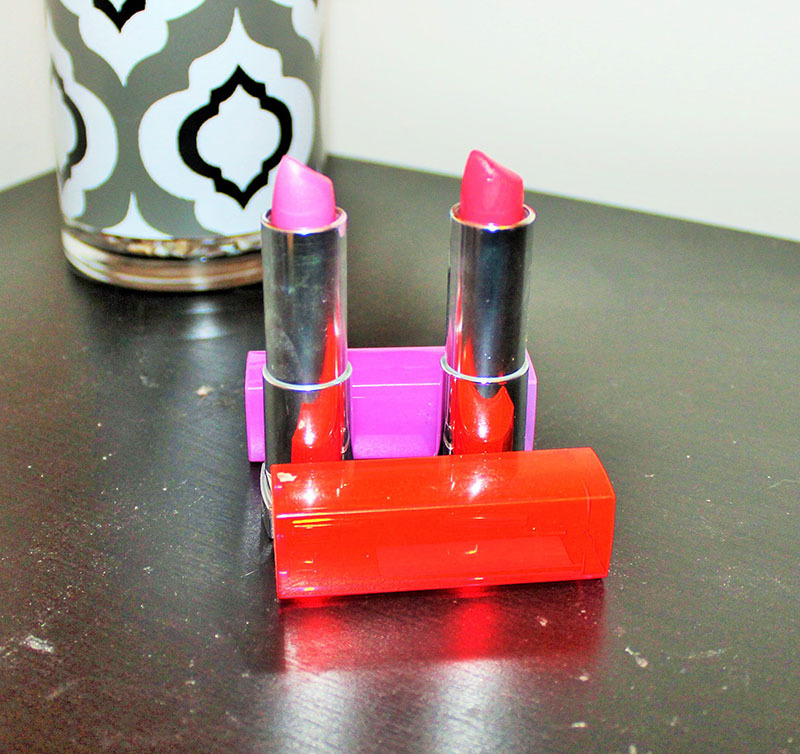 Maybelline Lipsticks. 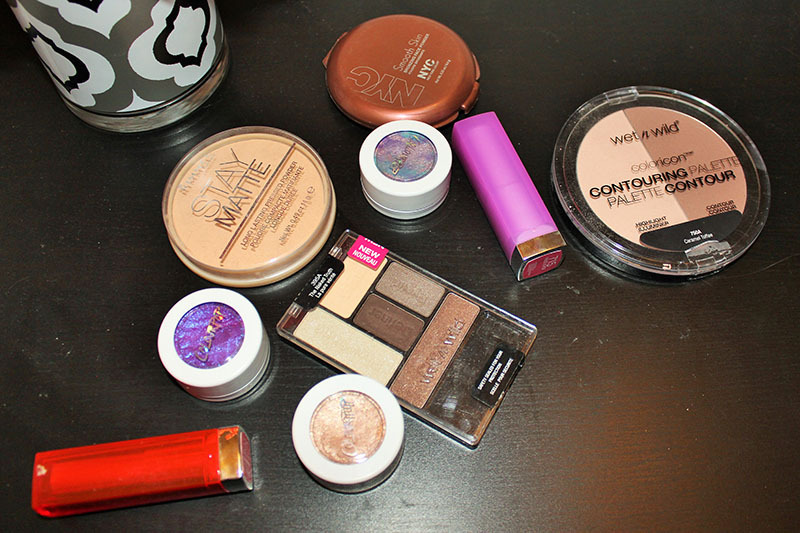 I also included these in my underrated drugstore products post. The majority of Maybelline lipsticks are awesome and the formula is great. The color selection is huge and the packaging is adorable. At Wal mart, they're $5 each and it really doesn't get much better than that. 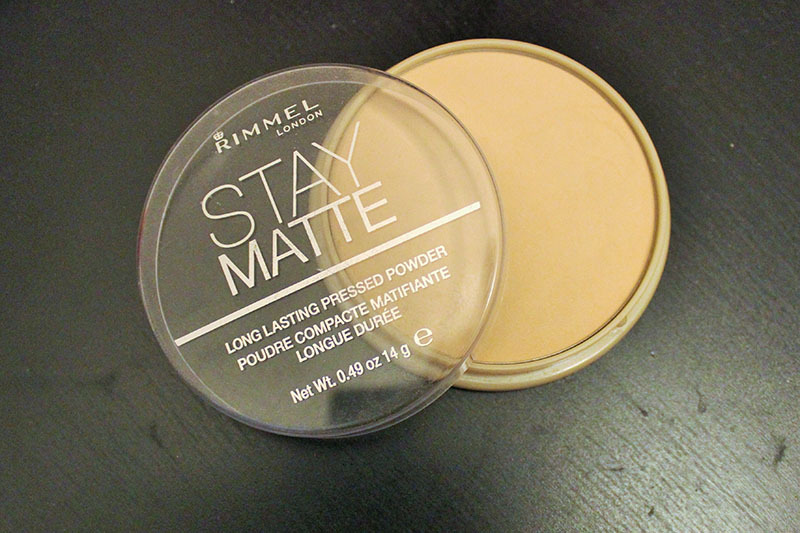 Rimmel Stay Matte Powder. This is also under $5 at Walmart, and it's awesome. 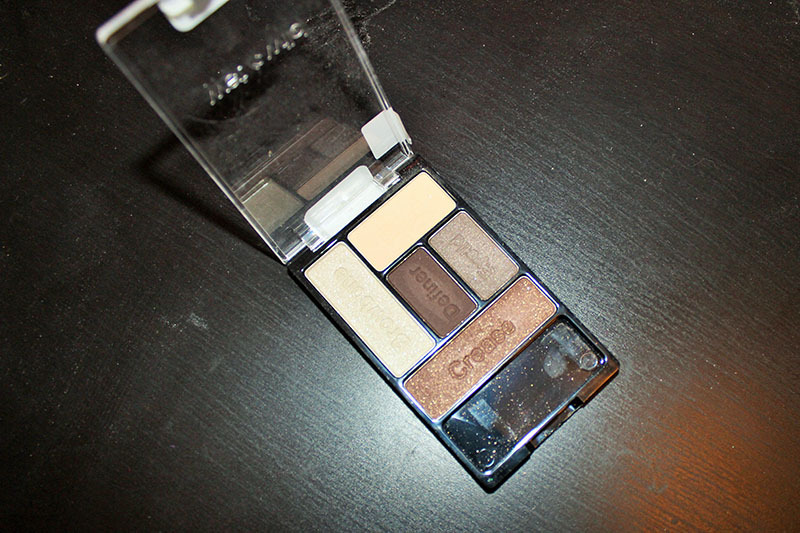 It does a great job of setting your makeup without looking cake-y and is perfect for touch ups. The packaging isn't my favorite, but for $5, it's a steal. 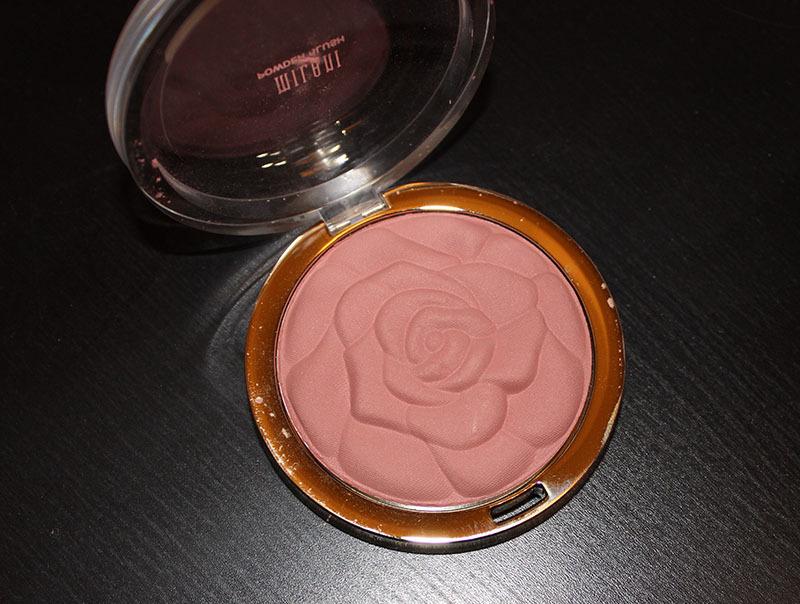 NYC Bronzer 'Sunny'. 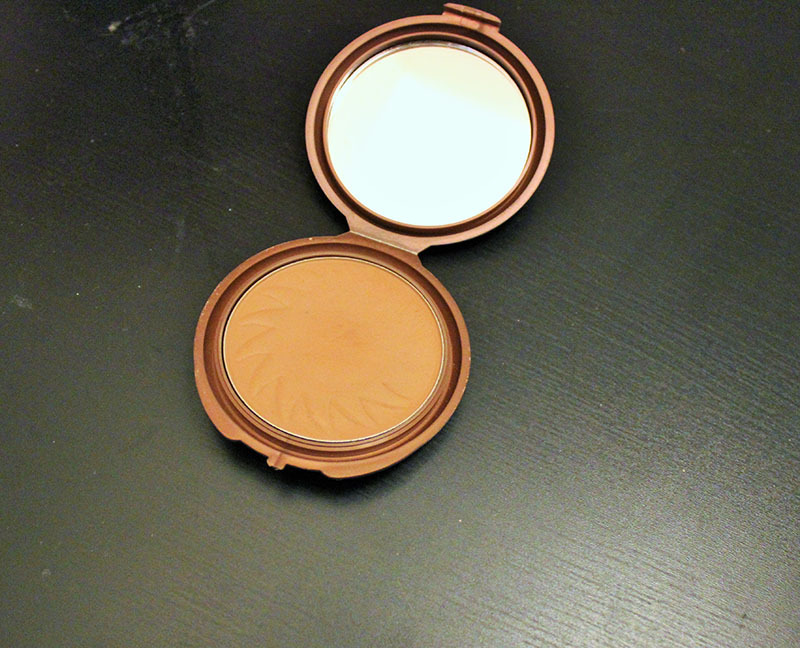 This is around $3 and it's a great bronzer. It's warm so it's not ideal for contouring, but it's perfect for warming up the skin and giving you a great summer glow. 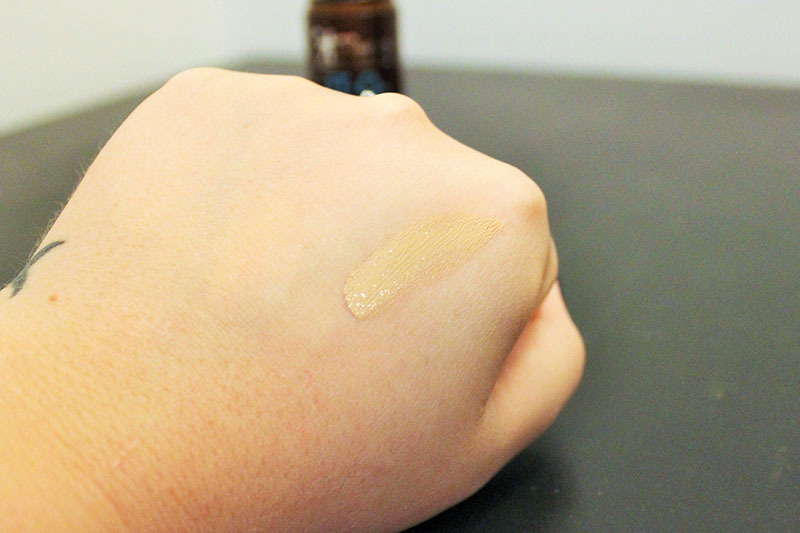 It's matte and pigmented, but it blends easily. 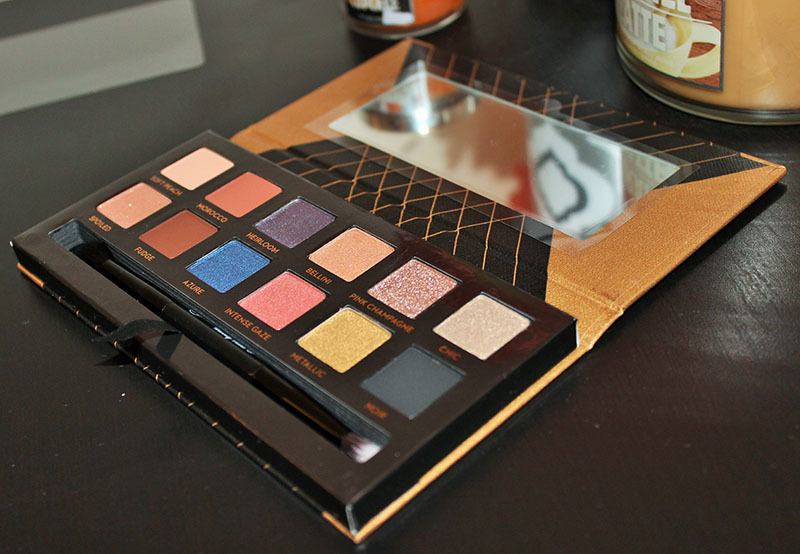 Wet n Wild Eyeshadow Palettes. I couldn't do a 5 under $5 post and not include these. 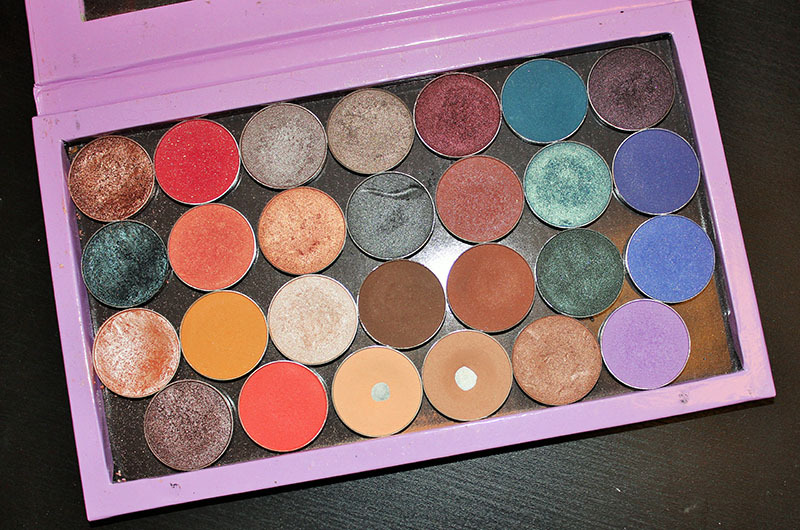 Whether you grab the smaller palettes like this one, or the larger ones, they're all under $5. 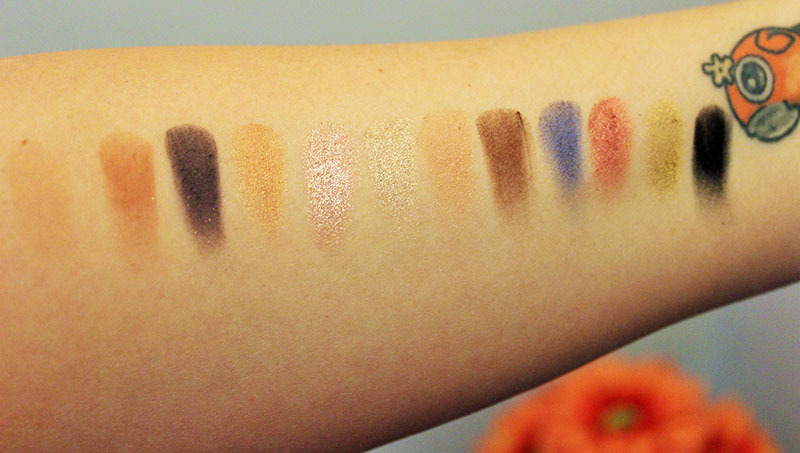 The majority of Wet n Wild eyeshadows are very pigmented and apply wonderfully. They're blendable and wear like an expensive shadow. There are a few duds, but the majority are awesome and really affordable. That's my 5 under $5! Soon I'll post a 10 under $10 as well as my overrated drugstore products and the underrated/overrated high end products. 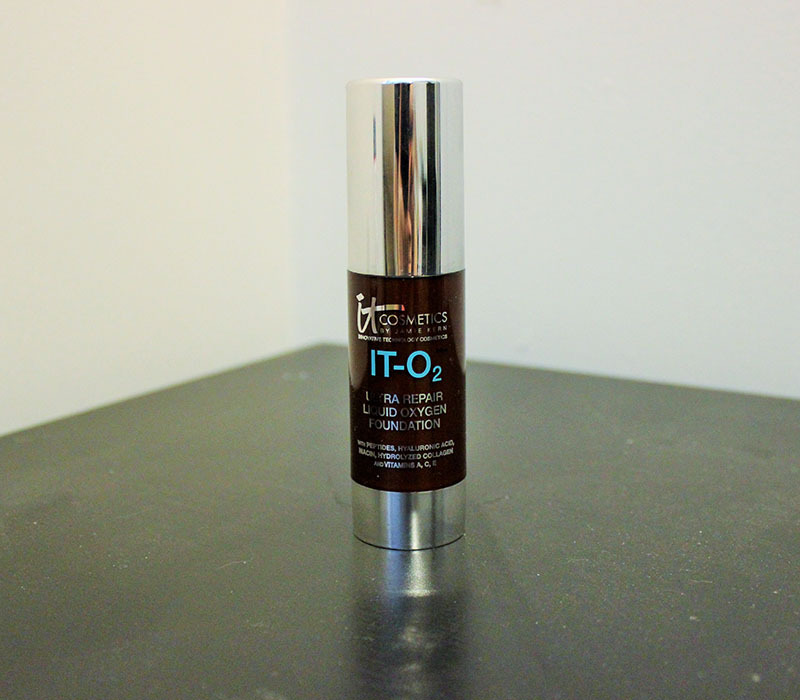 The IT Cosmetics IT-O2 Ultra Repair Liquid Oxygen Foundation is the newest addition to my foundation collection. 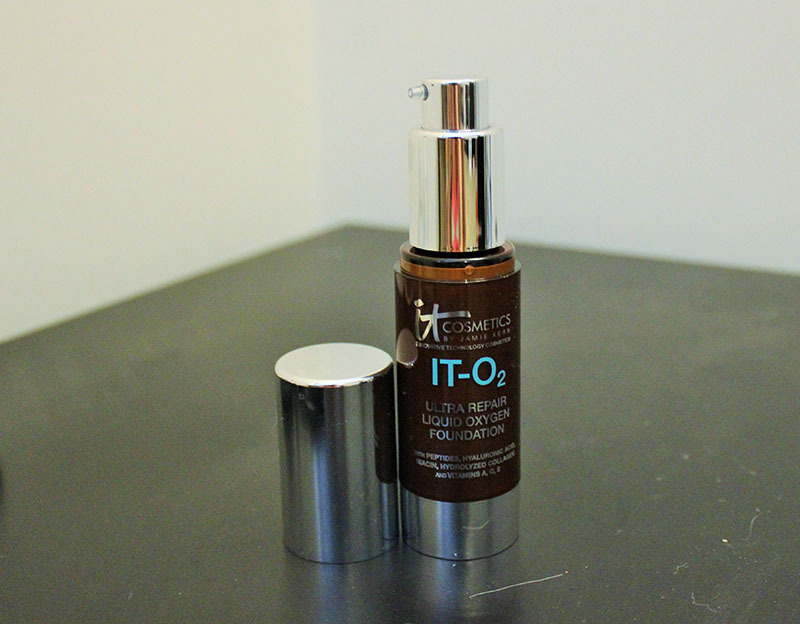 The goal of this foundation is to deliver oxygen to your skin, while giving you a natural, luminous, healthy appearance to your skin. 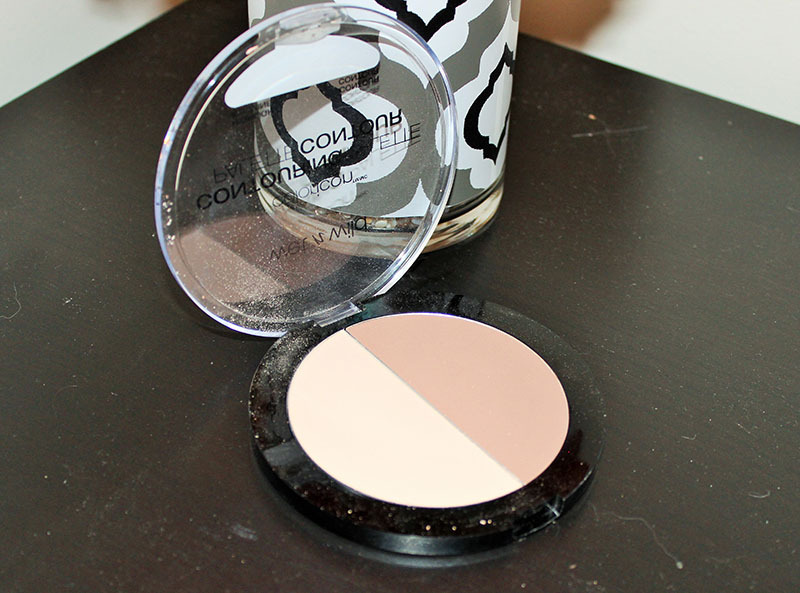 The coverage is light but buildable to full coverage, and building the coverage does not make it look or feel heavy. This foundation actually doesn't have that foundation feel on your skin, where you can just feel the makeup sitting there all day. It also has the IT Cosmetics Drops of Light Technology® reflecting pigments to give a blurring effect to the skin, which blurs imperfections. This foundation contains Peptides, Hydrolyzed Collagen, Niacin, Hyaluronic Acid, Grape Seed Oil and Vitamins A, C & E to work as an anti-aging product, as well as increase skin hydration. This is also Talc, Paraben, Sulfate and Fragrance Free. Also, like all other IT Cosmetics products, this is Cruelty-Free! The color I have is light, which is a perfect match for my skin tone. I've worn this a few times already, and I love the natural look it gives to my skin. 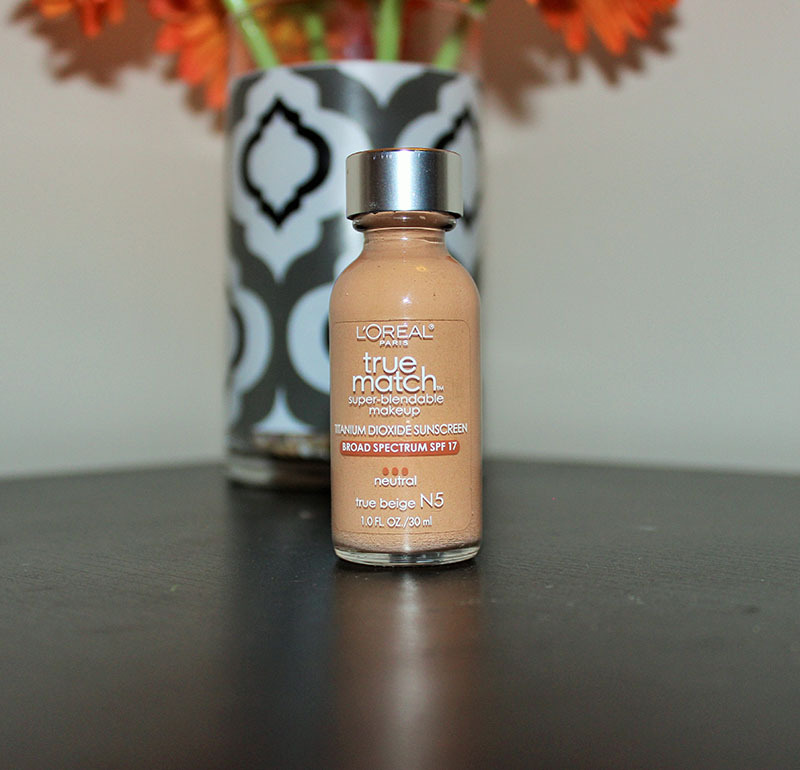 It really does blur my pores, which is what I have been looking for in a foundation. It doesn't sink into pores or lines, and it lasts all day on me. The bottle also has a pump and that's a huge plus! It's everyone's dream to lose weight without working for it, but by now you should all be more than aware that it's not going to happen. Weight loss takes work, it's a long, slow process, unlike the process of putting it on. 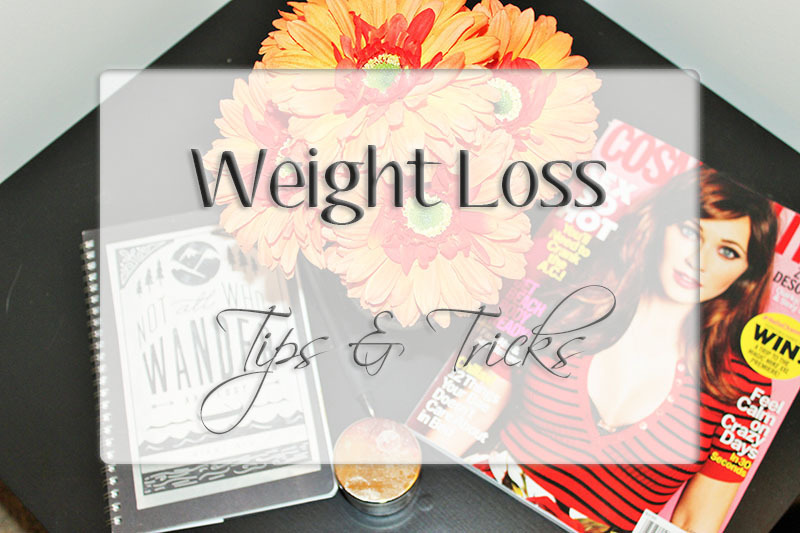 But, speeding up weight loss is possible, and today I'm going to tell you all of my tips for speeding up your metabolism and speeding up your weightloss. Change up your workout. If you're doing the same thing every single day, your body will adapt to it and your progress will slow or come to a complete stand still. To solve this, change up your routine. Incorporate new workouts to your daily routine and you will see a difference. Add in cardio. Already weight training? Add in cardio. Cardio is often overlooked, but cardio actually burns a ton of calories. Not only does it burn fat, but it increases your metabolism so you'll burn more all day long. Adding in 30-45 minutes makes a huge difference. I like to do 45 minutes- 1 hour 3x per week, and 20-30 minutes 2x per week. Add in weight-training. If you're only doing cardio, you should start weight training as well. The more muscle you have, the more calories you'll burn, all of the time, Ever heard the phrase "lift heavy & lift often"? It's totally true. Don't overlook the weights for fear of bulking up(assuming that's not the goal). Unless you're really trying to bulk up, you won't. Lifting weights is good for your body, and if you aren't comfortable with that, just doing exercises with your own body weight as resistance works wonders. Use Supplements. Supplements can really speed up your weightloss. I take BCAA's before every workout to give me energy and help my muscles to repair faster. I eat a protein bar or drink a protein shake after every workout for muscle recovery. Slimquick makes a protein powder that provides 20g of protein a day, so that's a great option if you need one! There are a ton of supplements and vitamins on the market that will help with your workout, in turn helping you to lose the weight faster. Drink a ton of water. Seriously. It's that simple. Drinking water is SO important for weight loss, and drinking enough water is a daily struggle for me. There are so many perks to drinking enough water, such as increased weight loss, reduced bloating and glow-y healthy skin, hair and nails. If you're bored with plain water, infuse it! Try adding fruit, mint and other things like that to it. Experiment and see what works for you. Water doesn't have to be plain and boring! You can also try the next tip, and add some type of flavoring to your water, just make sure it's calorie free! Drink weightloss supplements/metabolism boosters. 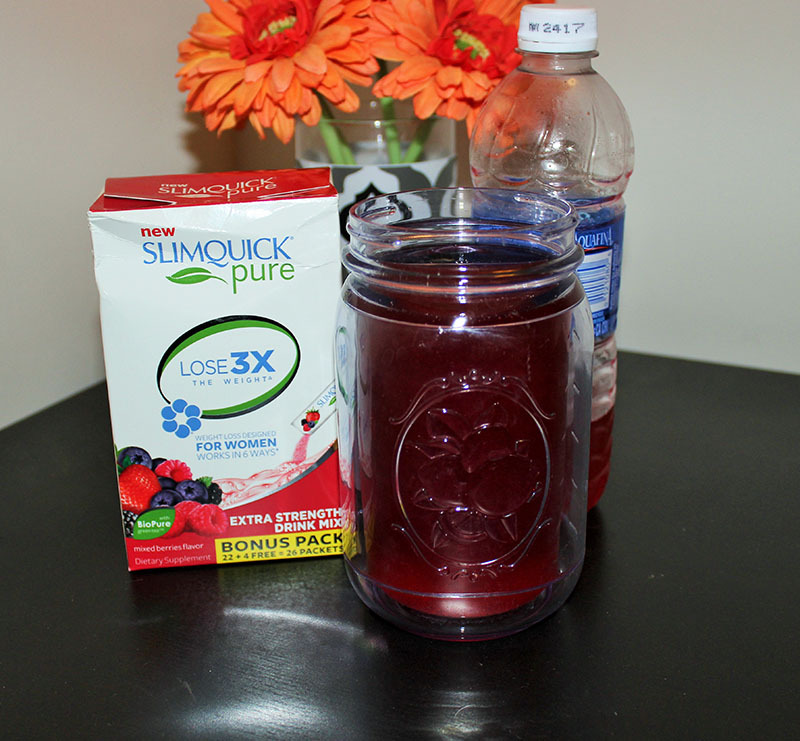 My favorite is Slimquick Pure Extra Strength Mixed Berries flavored Drink mix*. This is targeted to women, because it addresses the 6 physical reasons why women struggle to lose weight. This increases metabolism, reduces appetite, boosts energy, reduces excess water, supports hormones and reduces stress. This can help you to lose 3x the weight you'd normally lose. Each packet contains 0 calories and is sugar free! 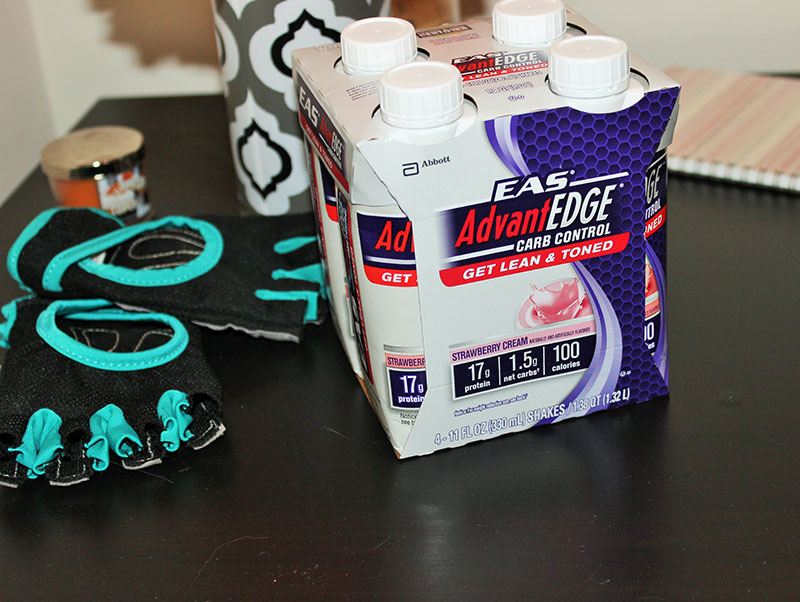 All you do is open the packet, pour it into a 16.9 oz water bottle, shake it up and you're ready to go! 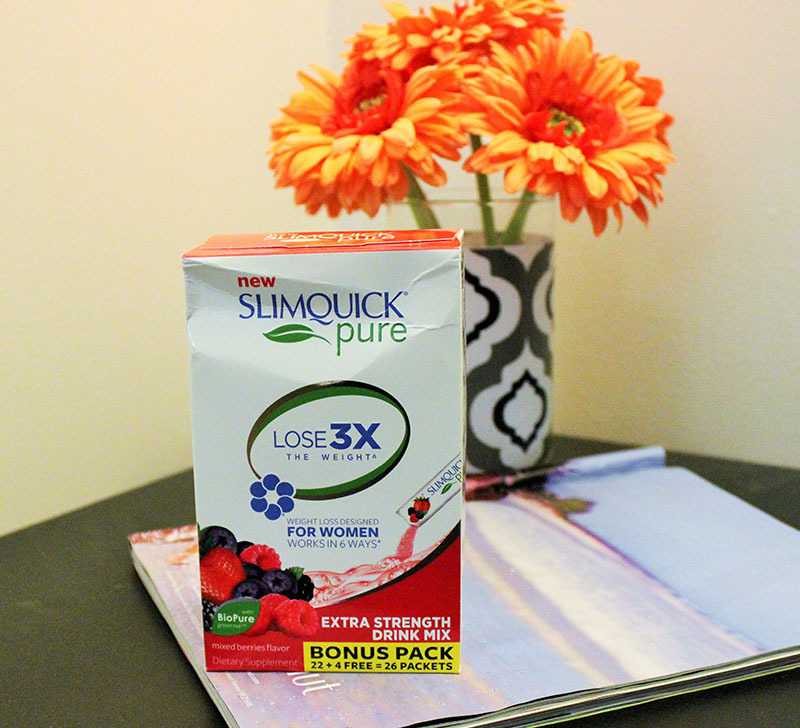 Slimquick Pure Extra Strength Drink Mix contains natural ingredients such as antioxidants, calcium, vitamin D and BioPure Green Tea™. 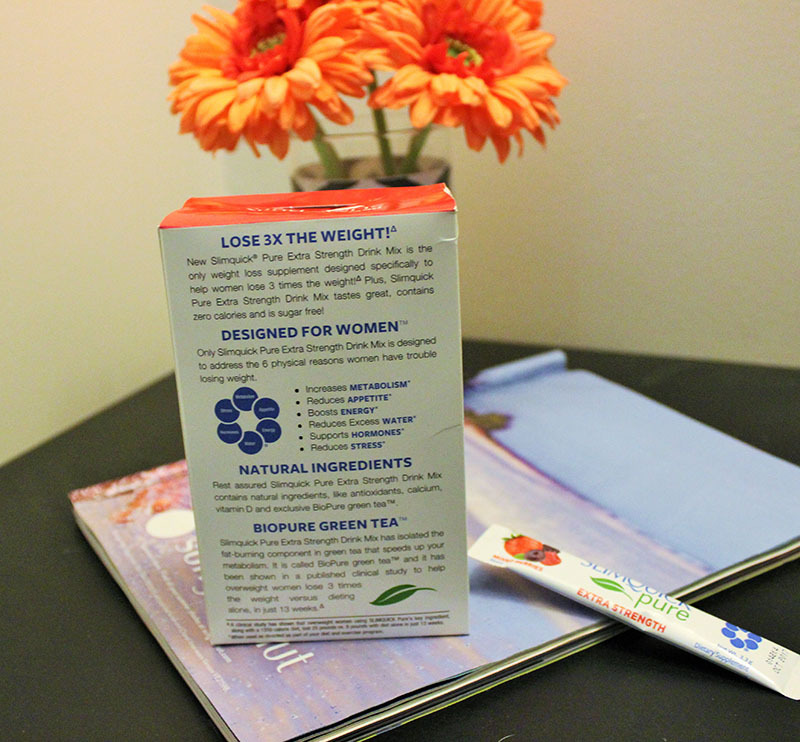 BioPure Green Tea™ is the isolated fat-burning component in green tea, which is proven to boost metabolism. I'm a huge fan of this product, and I do feel like it helps. Plus, it's pretty tasty! 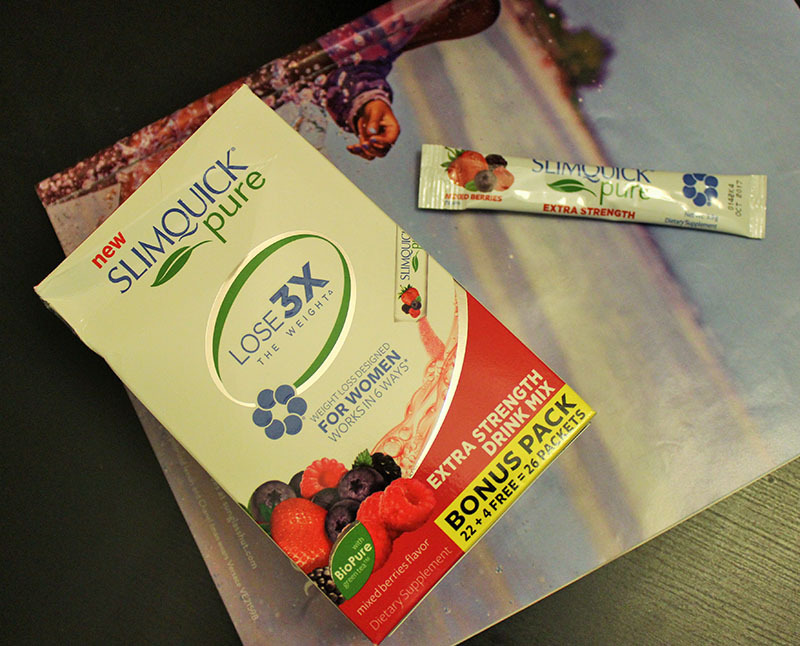 In addition to the Drink Mix, SlimQuick Pure also makes protein powders, gummies and capsules, which I plan to try in the future. If you're interested, pick it up & join the 25 pound challenge which gives you a chance to receive full support through your weightloss journey. There's a community where you can get access to meal plans, get support from a SlimQuick coach, and learn helpful weightloss tips. You can find more information at http://www.MySLIMQUICK.com! AND here's a coupon for you! Use that link to get a discount! I really hope this post was helpful for you, and if it was I'd be more than happy to do another in the future with more tips and tricks, because I have a ton!